The Equity Bank of Kenya has today entered into a business partnership that will see Jua Kali Artisans access power run tools on credit. 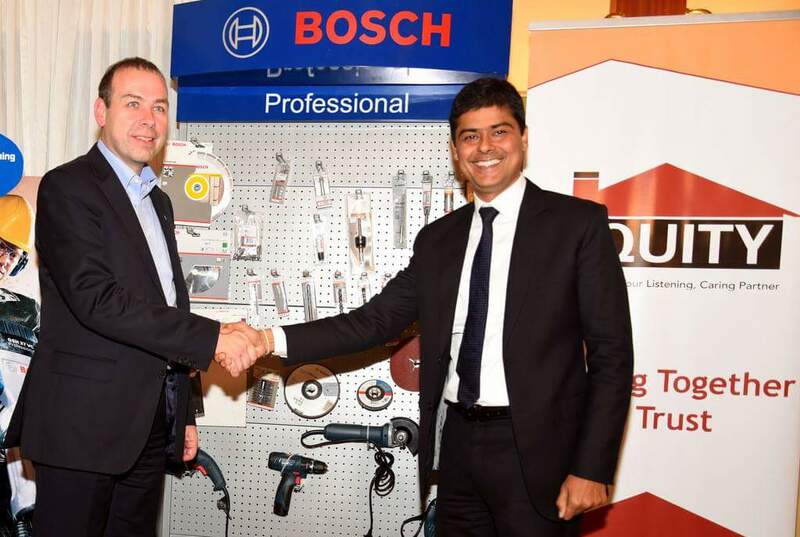 The target group, businesses in the jua kali sector will get access to tools and equipments from Bosch stores financed by Equity bank.This is according to the MOU signed between the two parties. Fact: the informal economic sector constitutes 88 percent of all the businesses in Kenya,generating an estimated 18 percent to the country's GDP. The Equity bank has really decided to explore opportunities in the informal economic sector in kenya.The lender recently came up with a credit solution meant to uplift the fashion industry in Kenya dubbed Maridadi Business in partnership with Association of Fashion Designers of kenya.